Diane G. Tomassetti is just the person you want working right along with you to Find the perfect real estate situation, whether you are buying or selling, land, single Family properties, condominiums or luxury listings. She has worked in the real estate Market close to twenty years from the east coast to the west. Her exceptional interpersonal skills and excellent follow up mean that you are her Number one priority. Her organizational skills and demonstrated ability to Maintain records and paperwork necessary for a complete and accurate Transaction will allow you piece of mind. She is a problem solver, thinks outside the box and will work closely with you to Close a transaction. Diane supports her clients and manages expectations by setting realistic goals and maintaining on-going contact with you. Diane is the extraordinary real estate agent who will find you the property you are looking For or marketing the property you wish to sell. 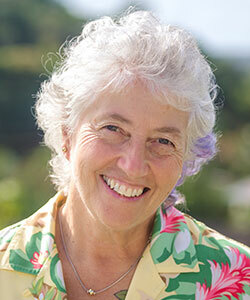 She is knowledgeable about the quirks of the Kauai housing market and brings value to her customers. She loves the Garden Island of Kauai, beaches, hiking and kayaking and is a great tour guide of what Kauai hasTo offer. Her high level of professionalism will assure you are in the best hands.